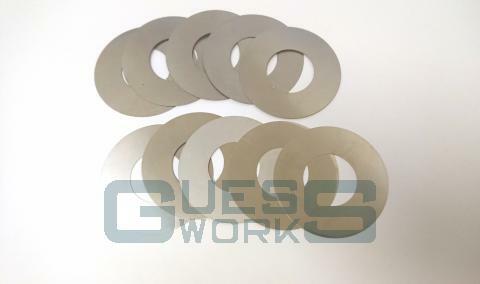 GUESSWORKS own laygear thrust shim. As the larger sizes of the laygear thrusts for A series and A+ 4 synchro boxes reduces, a solution is to put a shim between the larger laygear thrust 22G860 and the case. This is a trade or Multi pack which contains 5 of each 0.003" (0.075mm) and 0.005" (0.127mm) shims.